California, USA – “It really is the little brother of the ASP8024 I have grown to know and love,” says Fullerton College Recording and Music Production graduate, Timothy Jones, describing the brand new ASP4816 he’s had delivered to his home studio in Orange County a few short weeks ago. Possibly the youngest Audient console owner in the world, he leaves Fullerton College this year with top grades -- and the world at his feet. 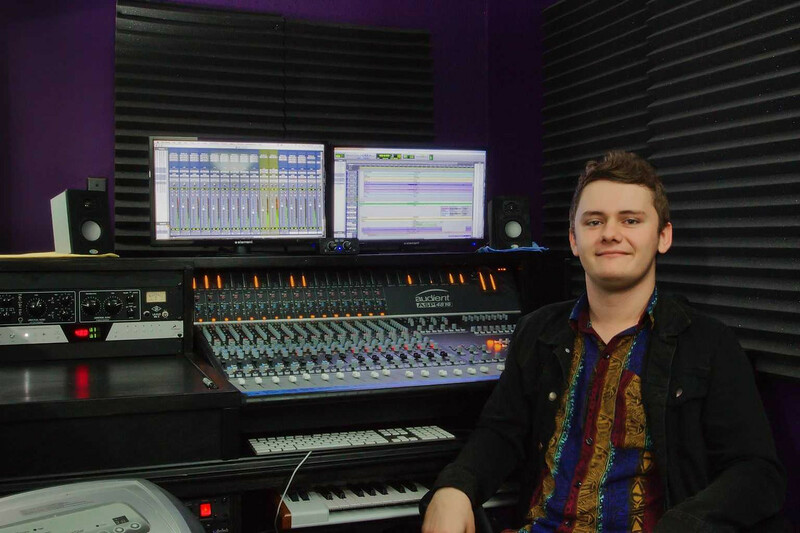 Timothy proved himself keen to develop his music technology skills both in and out of the classroom by building a small control room in a converted industrial warehouse not far from his home. Using it to work on his own compositions either on his own or with other musicians, as well as a practice room to improve his drumming and piano skills, the conclusion of his studies now allows him to spend more time in the studio, bag himself a few clients and turn it into a profitable enterprise. The arrival of the ASP4816 compact analogue console from Audient certainly helped him raise his game to that end. “I was absolutely blown away at how good these EQs sound,” enthuses Timothy – surprised, despite having “read the manual religiously before I placed the order.” He continues, “The channel EQ was used always in a subtractive capacity as opposed to boosting at Fullerton College and having my hands on my own console now, I am amazed at how musical the EQ sounds when it is boosted. I was completely taken aback. “The buttons have that satisfying *chunk* sound when you engage them; the faders all glide so smoothly,” says Timothy. “A fellow engineer who rents the studio one day a week from me (and didn&apos;t know I was making this switch) said that when he first laid a hand on the long throw fader, he knew this was a quality piece of gear!